and his staff all work together. in the many facets of treatment. We have served local families for nearly 25 years, dedicated to the highest quality in both the technical and the interpersonal aspects of orthodontics. We are closely involved in Valley Shore social and sporting activities and are proud to be able to serve the communities that have given us so much. 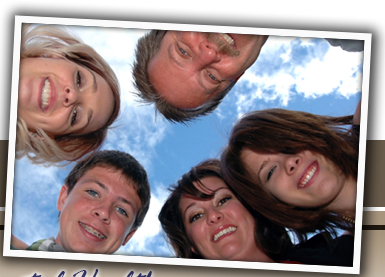 Our staff takes pride in knowing every patient personally, not just orthodontically. Many of our past patients stop in just to reconnect and say “hi”, years after treatment is complete. We (enjoy) welcome the lifelong relationship. If you are considering cosmetic dentistry - implants, veneers, crowns or bridges - talk with Dr. Denison about preprosthetic tooth positioning to optimize the cosmetic work you plan to have done. Likewise, if you are being treated for a periodontal (gum) condition, Dr. Denison will work with your dentist or periodontist in achieving bite correction that helps to optimize oral health. And if necessary, Dr. Denison provides surgical orthodontics, working closely with your oral surgeon to help correct jaw discrepancies in order to correct your bite and enhance your profile. 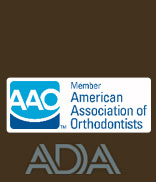 Over the years, Dr. Denison has treated many patients with special behavioral needs and unique craniofacial disorders. To this end, Dr. Denison maintains a strong relationship with the craniofacial disorders teams at both UConn and Yale. We understand the intricacies involved in coordinating treatment between doctors, so we are happy to take care of scheduling and pacing of your appointments and treatment for you. Your time is important. We coordinate our scheduling in an efficient manner so that you can get back to your busy day as soon as possible.